We offer bespoke product development for specific requirements from research and development to hardware design. Our team of experienced engineers, biochemists, project managers and consultants will discuss your requirement in detail and produce a technical proposal to meet your requirements. RBTs ProtectUs range significantly reduces the chance of infection AND can reduce the time and cost involved in staying protected. 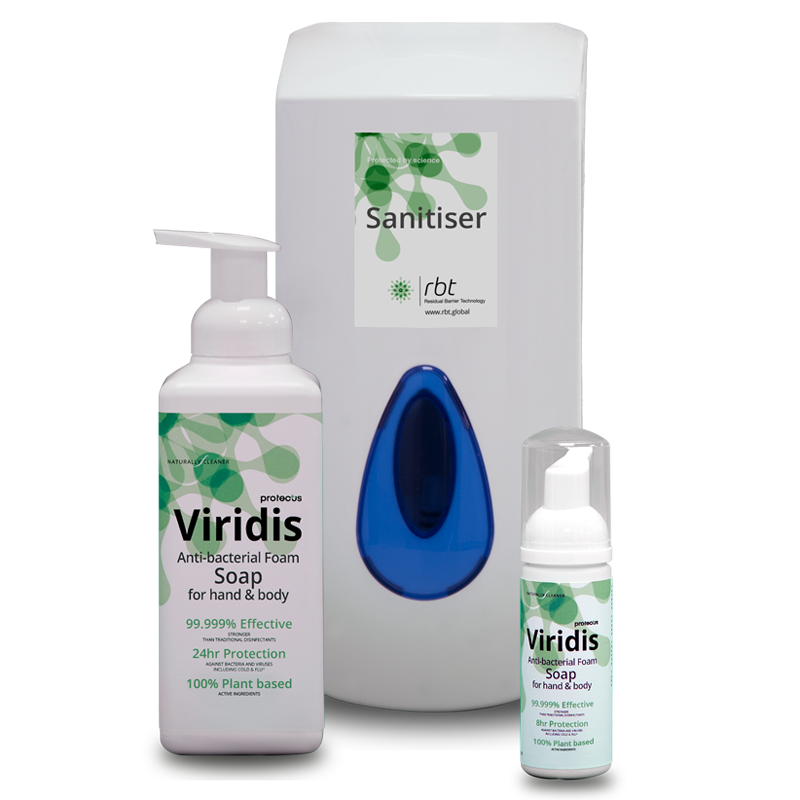 Viridis can be applied to a vast range of environments as a disruptive solution to viruses, bacteria and fungi effecting a total protective disinfection in medical & healthcare, food & drink, animal & pet welfare and professional cleaning industries.